I seem to be missing one last critical component of writing – You! The reader! Without an audience, a book is not a very interesting thing, and a writer is not going to be a paid author for long. So on the one hand, the goal is to get published – but on the other hand, the goal is to get read. I think that’s a lot of the appeal to self-publishing. Yes, money, a career, all that. But really, if the goal is to be read – if the goal is to get the book to You – then by any means necessary! It’s the reader who must meet your words with their understanding, it is the reader who tries to figure you out. Who tries – and wants to try! – to know what you scrawled out on the page, what you typed hastily into a computer. It is the reader who makes this worth it. 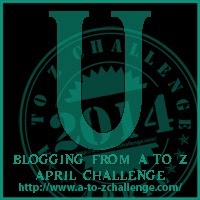 I missed the opportunity to write about Audience, when I wrote about Author instead, for this A to Z Challenge. So instead, I’ll let you read a post better than I would have written anyway, from the Writing Catalog. I say that in part because I like Gene’O’s writing, but also in part because I don’t think enough about the audience when I write. In a lot of ways, I write for an audience of one: myself. And maybe that’s why I have a hard time starting to write. Because while I could write, if my main audience is myself, well, I already have the story here in my head. I know what happens. Would anyone else care what I write? Would anyone else like it? So that means for me the most important question right now goes back to audience. And actually, I think that it may also answer a question I asked before: why write a blog? The answer may well be that you write a blog to have an audience. To experience that, to want that. To interact with them and find out what they like and don’t like. To get praise, or constructive criticism, or to get shared – all to give you that little bit of confidence you need, to know that you might just have an audience outside of yourself (or maybe your family, hopefully they’d read it too…), and that it might be worth it to drag those ideas out of your head and let them see the light of day. Thus, concluding my posts on the essentials of writing, I dedicate this post to you: my reader, my audience. That’s right, you. Right there. I’m thinking about you when I write this. And I am thanking you for being there. Whether you’re there just as a blogger, wandering by from the Challenge – great! I know I don’t read nearly as many blog posts as I should. I am a bad audience member. Or whether you’re a follower – thank you so much! You remind me time and again that maybe I really can be a writer. And this seems like an excellent time for self-promotion. If you like my writing here, like being my audience here, check out my geeky blog I write with my wife: Comparative Geeks. It overall has much more content and posts than here. However, since my audience has grown quite a bit during the challenge, I’m going to have to keep going strong here too, I think! I was surprised when I found out this was a quote from the Bible, actually, because for one thing, it doesn’t seem to fit, and for another thing, that was a long time ago for people to already be believing that there were no new stories or ideas! Yet that same mentality exists today, in full force: there are no new stories. I’m not here to argue that point. Well, I’d be happy to in the comments. My point, though, is that if there is nothing new under the sun – if your readers, by applying their life experiences (which include any number of books and movies and other stories) find references and analogies between your writing and stories and something someone else has written, well… you’re likely just like every other writer ever! Even if you did not mean a similarity – even if you had never experienced it before – it can still happen. And probably does. All the time. Like, maybe, all the times. But that just brings us back to Voice – it is how you write that will distinguish your work from someone else’s, no matter how similar or different. It shows the difference in how you understand things. It is also the sort of thing that will bring readers back to your works – enjoying how you write, they might try something they would not otherwise read, just because you wrote it. Whose writer’s Voice do you like? One of my very favorites is Peter David – his humor, his pacing, his character. He has done a lot of work in existing universes – comics, Star Trek, movie novelizations, things like that. However, I’ve found his work in these fields surpasses others, because of how he writes it. I gave a number of examples in the post linked above… since then, I have tried out the Marvel comic A+X, where they do two ten-page stories, with no continuity, no relation to each other or another story, and by a wide variety of writers and artists. And of those, the ones by Peter David might be my favorites. They stood out to me. They were great. Also, this is a fun comic if you want to check out different writers and illustrators and see who you might like! I asked a question and then answered it, but let me ask again: whose writer’s voice do you like? Who would you hunt down to read, who do you buy a ton of? And I guess… are all these questions the same thing? Share your thoughts in the comments below! And if you haven’t read any Ecclesiastes, I highly recommend it. Likely not what you are expecting. Okay, so on the one hand, this seems like me reaching for something that starts with U for the A to Z Challenge. On the other hand, this is one of the ones that made some of the most sense to me. The famous quote is, of course, Write What You Know. Because in so many ways, writing is taking what you know, and making it so it’s a thing the reader knows. Maybe they won’t know all of it – maybe they’ll only take a quote away. Nonetheless, you’re adding to what they know. However, as you may have noticed, I am a fan of science fiction and fantasy – genres that are impossible if you take a literal interpretation of “Write What You Know.” Only a handful of people would be qualified to write about travel in space. No one has been to Middle Earth (except apparently anyone who has been to New Zealand). And yet, these works can be written, and read, and understood. So that is the crux of the matter: it’s about understanding. The writer should understand what they are including in their book: understand the language they are using, understand the grammar and words; understand the characters they are including, their psychology and experiences; understand the setting and the things that happen there, whether that’s the climate or how the people fight or what they eat for breakfast. And maybe you don’t have to know all of those things. And certainly you don’t have to have experienced them all yourself. But the writer should have an understanding of these things – whether that comes from education, research, reading, experiences, talking to people or experts, or wild extrapolation. Because when you understand it, and put it in such that it makes sense and is believable, your readers will get it too. Not to say all writing must be realistic in that it is only real things that happen; however, the things that happen should be internally consistent, should have a realism within the world they are in. Whether that’s how alien technologies work or magic systems or biology or computer software (No click enhance! Bad!). By understanding these things happening, you can create that consistency, make things make sense, and have their own logic. And then your readers will understand, too. What do you think? Write What You Know? How much do you need to understand? Let me know in the comments down below!